We've been toiling away in the back rooms for a little while, but Exclaim! is now ready to launch its very own mix series. We'll be asking DJs and producers who we admire to make us an exclusive set — be it live or on the decks, new tunes or old, well-known releases or rare oddities, or whatever they like really. We are Canadian, though, and we're quite fond of the place. There's such a wealth of great music here that we could easily roll out an endless stream of homegrown mixes without ever looking beyond our borders. With that in mind, we'll be getting our favourite Canadian artists in techno, house, hip-hop, ambient, IDM, breakcore, dub, glitch, jungle and anything else that goes bump in the night (except hardstyle; we're not animals) to craft us something special. Starting off the series is Princess Century (a.k.a Maya Postepski), an integral part of the Toronto music scene. Her 2015 LP Progress is, frankly, one of the best Paper Bag Records releases to date. She's also a key member of Austra, who just announced their new Future Politics (out January 20 through Domino/Pink Fizz Records). But if you're looking for something to sate you in the meantime, look no further. Postepski's Exclaim! 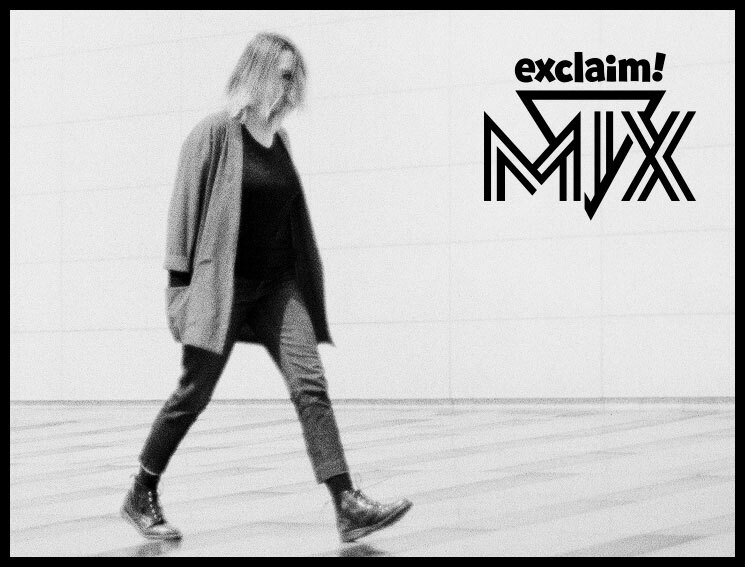 mix is a brooding stroll through synth-pop and techno's odd fringes. The tracks are obscure, the tone is ominous and the rewards are plentiful. So, sit back until you have to stand up, and enjoy Exclaim! Mix 01. Check out the link below for a listen, as well as Princess Century's notes on the mix and her tracklist. This mix contains a lot of music that I've been sharing with friends online. We pass music back and forth to inspire each other. I like this a lot because it's easy to get stuck in listening to the same genre or style of music. I like to be surprised when I listen to a track I wouldn't have otherwise checked out or even known about. It's a fun activity that I look forward to every time I open our playlist, like a little gift. It's a really nice way to get to know someone, their tastes and influences. It's also nice to be challenged to contribute to a playlist, like I sometimes feel I need to "one up" my friends with really out-there, unusual music to try to blow their minds with. It's a nice game to hunt for these tracks, I enjoy this so much. Kind of like modern day crate digging. Occult Oriented Crime - "Japanese Trains"
Nine Circles - "Here Come I" Genesis P-Orridge - "A Debris Ov Murder" Golden Teacher - "Like a Hawk" NGLY - "Service Cost HH2"
Marie Dior - "Bass Float" VOIRON - "Les Jardins Voironnais" SHXCXCHCXSH - "Ss"
Gwenno - "Fratolish Hiang Perpeshki"